Hey guys, My routine in life isn't super efficient at the moment and by reflecting on what worked in the past I figured out that journaling was one of the best things I could do. I don't game at all anymore, but I don't know any other forums like this, so if it's okay to post on here I'd gladly use it! My life as it stands today Not too healthy -> Medicine for Acne (only 3 days left) and not working out that often / lost some weight. 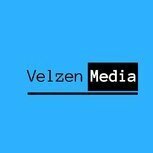 I have my own company -> VelzenMedia (marketing company) I'm judging other people too much, because I see myself in them. And I don't like myself right now Bad sleeping cycle / habits. Where I want to be in 90 days More energy, strenght and healthy eating habits again. VelzenMedia @ 3 clients paying me each 1000 euro's +. Not judging other people. Talking in terms of other people's interests and making people smile 🙂 Less entertainment / internet / social media. Only use it for growth. Better sleeping cycle / habits. Where I want to be at 25 years old Extremely fit, energized and healthy. Successfull companies helping people all over the world. Be a millionaire, but don't buy things to show off. Re-investing all the money to provide for myself long-term. I want to be the one who makes entertainment. Not the one who consumes it. These are my current targets. It all starts with this 90 day challenge in which I want to take back my health, energy and obsession. I'll be posting once a day to summarize my day and efficiency. If you don't see me posting anymore it means I've quit and that I'm a talker not a do-er. How am I going to succeed? -> Planning, planning, planning. I believe that to be my keystone habit.